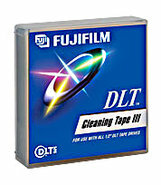 Hewlett Packard - HP DLT TAPE CLEANING CARTRIDGE P/N: C5142A. NEW FACTORY SEALED. 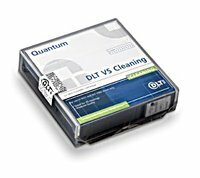 Quantum - MR-V1CQN-01 QUANTUM - VS160 DLT-V4 CLEANING CARTRIDGE (MR-V1CQN-01). NEW. MINIMUM ORDER 10 PCS. IN STOCK. SHIP SAME DAY. Quantum - THXHC-02 QUANTUM - DLT III/IIIXT/IV20 PASS CLEANING TAPE CARTRIDGE (THXHC-02). NEW. IN STOCK. MINIMUM ORDER 10 PCS. SHIP SAME DAY. 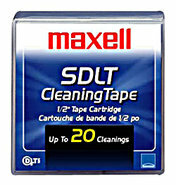 Hewlett Packard - C5142A HP-COMPAQ : DLT III/IIIXT/IV CLEANING CARTRIDGE TAPE (C5142A). NEW. MINIMUM ORDER 3 PCS. IN STOCK. SHIP SAME DAY. Hewlett Packard - C8016A HP/COMPAQ - VS160 DLT-V4 CLEANING SUPL CARTRIDGE (C8016A). NEW. MINIMUM ORDER 4 PCS. IN STOCK. SHIP SAME DAY. 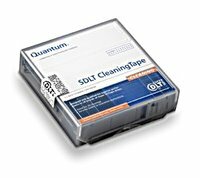 Quantum - BHXHC-02 QUANTUM - DLT 1 VS80 CLEANING TAPE (BHXHC-02). NEW. IN STOCK. MINIMUM ORDER 3 PCS. SAME DAY SHIPPING. 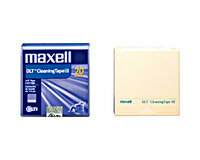 MAXELL - 183770 MAXELL - 1/2inch. DLT CLEANING CARTRIDGE (183770). NEW. MINIMUM ORDER10 PCS. IN STOCK. SHIP SAME DAY. 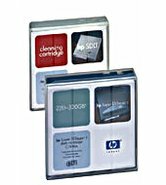 Hewlett Packard - C7998A HP-COMPAQ - DLT1 CLEANING CARTRIDGE (C7998A). NEW. IN STOCK. SHIP SAME DAY.